Elfriede Sixt passed the US and Austrian CPA exam. 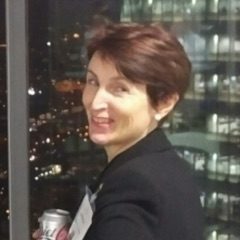 She has been specialising in consulting for digital start-ups, crowdfunding and various Blockchain/DLT related topics with focus on crypto accounting and tax advising questions for the past 15 years. She is an ex-EY Partner, where she was responsible for International Accounting and Corporate Finance. She was Co-Founder of the German Crowdfunding Network (2012) and Founder of the FinTech Academy (2014). Besides being Co-founder of the thinkBLOCKtank, she is Treasurer of the Interplanetary Database Foundation Board (IDPB). She is Member of the Finance Working Group of Blockchain Bundesverband (German Blockchain Association) and Speaker of the Tax Working Group of the Blockchain Bundesverband. She also is a Founder of the European Funds Recovery Initiative (EFRI). She published books on Crowdfunding and Blockchains/DLT with the SpringerVerlag and she is a blogger about different crypto-related topics.